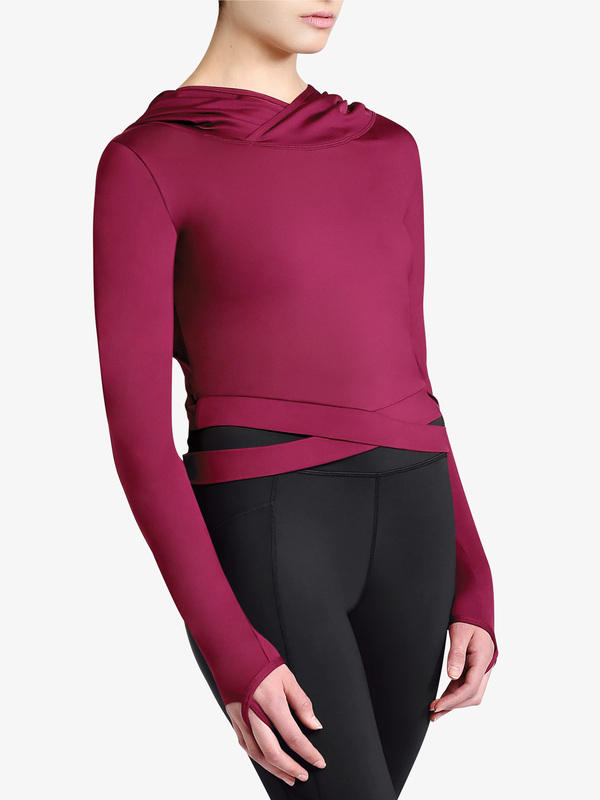 Whether you are headed to the studio, ballet class, or to the gym - this fashion forward sweater is just what you need! Sweater features an attached hood, long sleeves with attached finger loops, a cropped length, and crisscross straps at the hem. Sweater is constructed with Germanium health fiber - which regulates positive and negative ions within the body, helping reduce muscle fatigue.